Treasury Wine Estates, in partnership with Heinemann Tax & Duty Free, has unveiled a global-first installation for Penfolds Grange in Travel Retail at Sydney International Airport. The special installation features a Penfolds Tasting Bar alongside 98 bottles of flagship wine Penfolds Grange, in a dramatic backdrop that forms the world’s largest public display of Penfolds Grange 2014. Unveiled during the Chinese New Year period, with wines costing over AUD 88,000 in value, the striking pop-up forms a key element in celebrating 175 years of storied history for the iconic Australian winemaker. Running for the month of February, the collection of Penfolds Grange provides a distinctive photo backdrop for travellers passing through Australia’s busiest airport, with the 98 bottles celebrating a 98-point score attained for the Grange 2014 from acclaimed wine publication, Robert Parker’s The Wine Advocate. 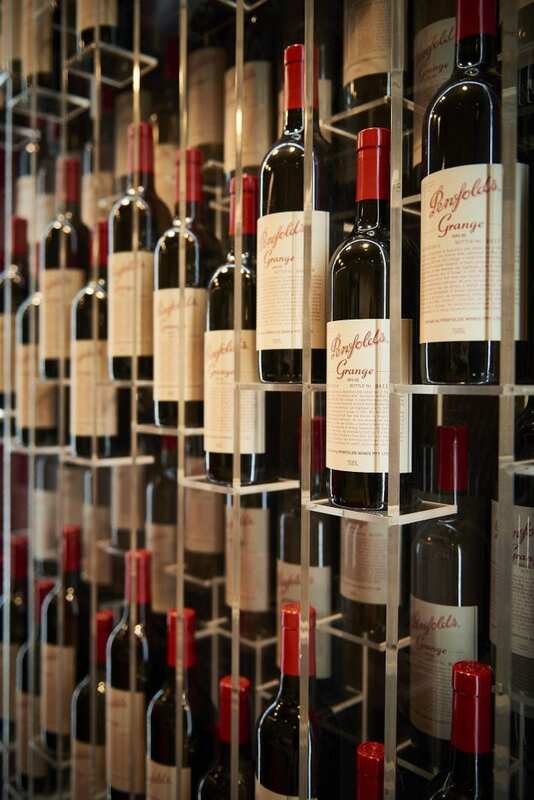 On-site retail ambassadors are also available to help travellers understand more about the iconic Australian wines from Penfolds. In conjunction with the eye-catching display, where travellers are encouraged share their Penfolds moments on social media, there will also be sampling opportunities to try products from Penfolds Special Bottlings; Lot. 1990 – A Pot Distilled Single Batch Brandy, and Lot. 518 – Spirited Wine with Baijiu. Both products were launched last year, and the series pay homage to its founders Mary and Christopher Penfold, whose legacy is not only in fine table wines but also in a stable of brandies, sherries and port styled fortified wines. Throughout the month of February, travellers will also receive personalized Penfolds ribbons and for the first time in travel retail, three Grange 2014 Jeroboam bottles will be available for sale at $6,200 each. “Penfolds is an important luxury wine brand for Heinemann. 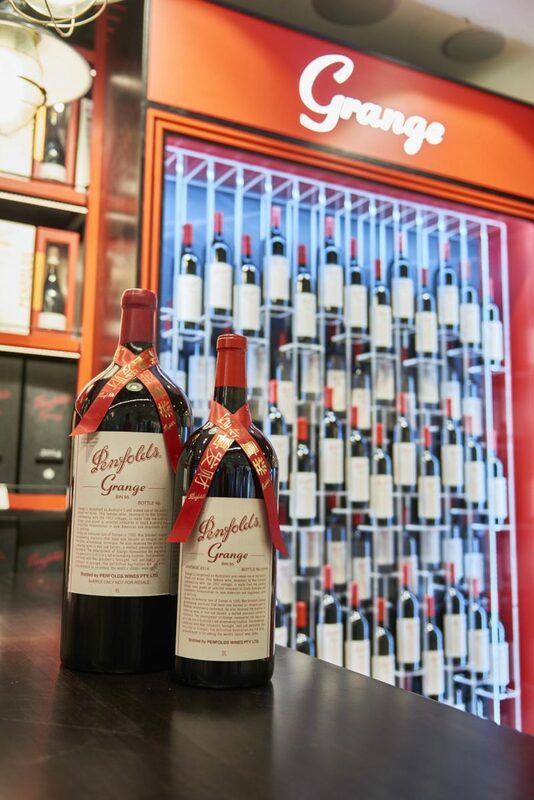 This collaboration, to launch a special 98-bottle Penfolds Grange 2014 installation is an ideal platform for the brand to tap into key traveller groups here at Sydney International Airport during Chinese New Year. 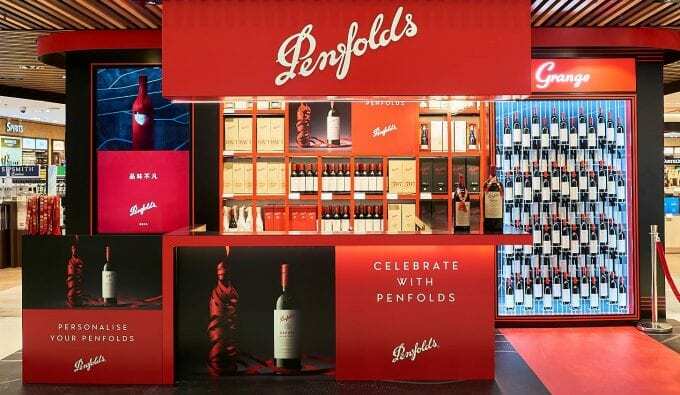 It also highlights Heinemann as a trusted and valuable partner for Penfolds to stage this installation in Sydney, as we continue to work together to help build awareness and draw new consumers into the Penfolds brand,” added Richard Goodman, Managing Director, Heinemann Australia.